Sucs for You...but not all the sucs - Sucs for You! 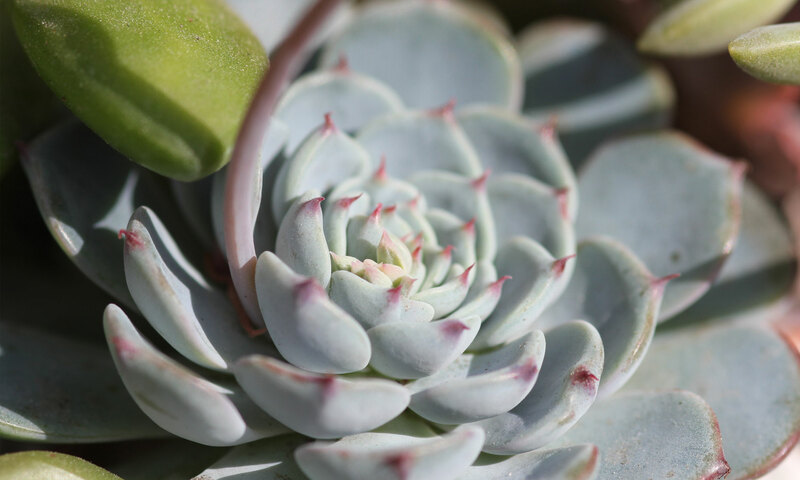 Most of us have checked out #succulents on Instagram and ogled over photos showing the most brilliantly colored rosettes, strange but fascinating lithops and mesembs, and propagating leaves that seem to grow faster and more colorful than anything we’ve seen at home. Sometimes we wonder what we’re doing wrong without considering the location those photos are taken are from climates much more aligned with the elements succulents truly thrive in. Most seem to originate from southern California, Australia, Korea—not Houston ‘Humidtown’ Texas, that’s for sure. Dry days and cooler nights…if this doesn’t sound familiar then you’re in the same boat as I am. If summer temperatures consistently rise above 90F and +70% humidity, or if it rains everyday for a month, and we think we’re going to get the same results in our succulent gardens as those living in San Diego, we’re going to have a really bad time. That doesn’t mean we can’t have succulents, just not all of them, or at least not without a lot of controls in place that some people don’t want to fool with or pay for like lights, fans, and dehumidifiers. See, in order to really bring out the colors in most succulents, they need to be ‘stressed’ with cooler temperatures, bright sun, and very little water. Right now it’s mid-July and at 10:15 a.m. the ‘feels like’ temperature is already 104F thanks to the 70% humidity in Houston. Considering the heat in my bayou city, and a lot of your cities, we can’t stress our plants without killing the plants. They need more water, more shade, and unless you have a cold house that gets amazing sun inside, they’ll need to be kept outside. Remember that the less green a plant has, the less chlorophyll it contains. These need more direct light in order to photosynthesize, which is hard to provide without burning them. If a succulent doesn’t get the proper light to meet its needs, it doesn’t grow true to its natural form. The stems develop thinner, there’s more spacing between the leaves than desirable, and they lose most color. So what to do? Adapt! There are tons of sucs that do very well in moist, hot climates and are so satisfying to work with and beautiful to grow. If you don’t want to worry about etiolation, seek plants with leaves that don’t need to remain compact in order to look good. This doesn’t mean we can’t have nice rosettes or colorful leaves—we just have to try harder to find the right balance between aesthetics and sensibility. Finally, when shopping for succulents, especially at ‘big box’ stores and grocers, you’ll notice they don’t follow the rules of ‘don’t water until dry.’ They soak them mercilessly and leave them in the hot parking lots with nothing between their leaves and the pounding sun. If you buy these plants, it is essential to get them home and repot them in dry dirt. Do not water them until any broken leaves and roots have time to heal. Continue to give them good sun and just enough water to quench their thirst for a couple days. With water and less sun, plants that we purchased while they were yellow, red, blue, and purple, may revert to a green state due to being less stressed. But when the temps drop again the colors will return with the correct care. Besides lithops and aeoniums (excluding the Kiwi variety which is quite hardy), I’ve been able to acclimatize most of my plants to the climate here as long as I don’t burn them with too much sun. Here’s a brief list of succulents that I’ve worked with in Houston that just keep on keeping on no matter what the weather might bring.